Looking for something to occupy your snow day today? Why not start our next book for the 4yoga book club? 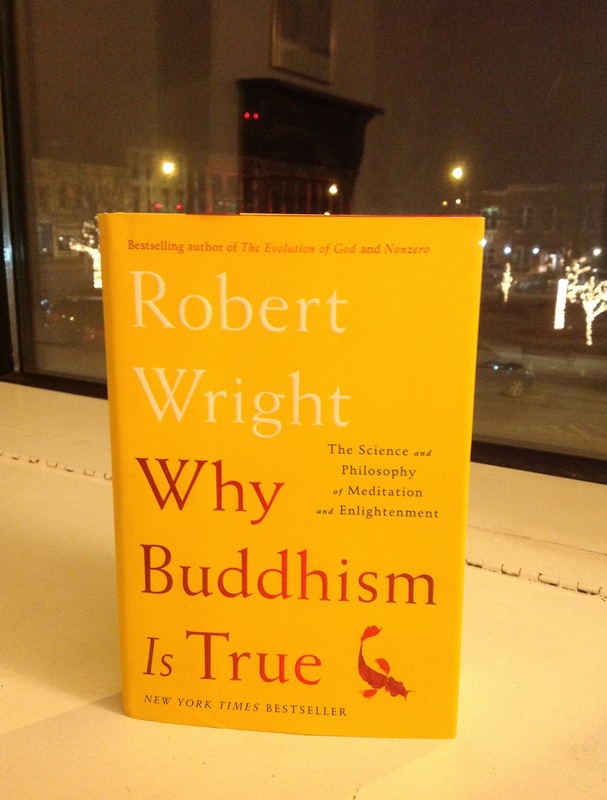 Our quarterly book club will next meet on Sunday, February 18, at 1:30 p.m. We look forward to discussing Robert Wright’s Why Buddhism Is True: The Science and Philosophy of Enlightenment! If you prefer borrowing to buying, check out the Warren County Public Library, which has both print and electronic audio copies available. We welcome everyone to join us, regardless of how much of the book you are able to finish. Please bring a vegetarian snack to share—we will provide a selection of hot teas, plates and utensils. This entry was posted in book club, schedule and tagged Buddhism, Cassandra Cantrell, Robert Wright, Why Buddhism Is True. Bookmark the permalink.